Melbourne businesses, fed-up with energy bills draining their cash flow, are now getting the sun to power their profits, joining 3.1 million Australians who already live or work under solar panels. Several city enterprises have taken up new Solar Finance from the Sustainable Melbourne Fund (SMF), designed to make powering businesses with the sun faster and simpler. 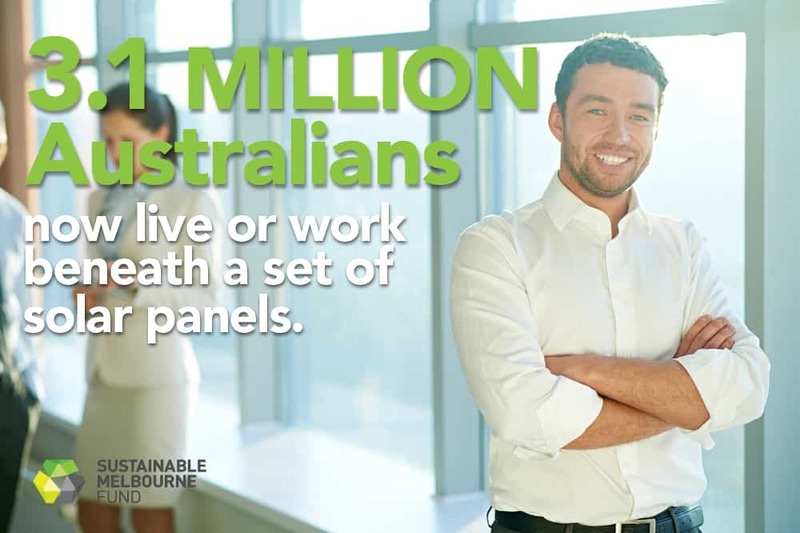 “Our mission is to help businesses overcome any last hurdles to going solar, so they can have panels installed and start getting both the environmental and financial benefits immediately – without interrupting their cash flow,” said Sustainable Melbourne Fund (SMF) Chief Executive, Mr Scott Bocskay. North Melbourne commercial kitchen hire company, Cooking Space, is one business whose rooftop this summer is humming with a 30kW solar system – that’s about 15 times the size of the average household solar array. It’s something business owner, Mr Eric Lim, says he wishes they had done sooner, with his businesses now more than $9,000 a year better off. “The savings on our power bills easily cover the repayments, so going solar had no negative impact on our cash flow. At the same time, we’re doing our bit for the environment,” Mr Lim said. Through SMF’s Solar Finance, Melbourne businesses, like Cooking Space, can access 100% finance, flexible repayments through council rates, and support in reaching agreements with landlords – so going solar becomes a straight-forward proposition. “It comes at a time when the business case for solar has never been stronger,” Mr Bocskay said. “Panels cost 70 per cent less than they did seven years ago, and power bills have risen significantly over the same period. As a result, solar can now put more cash in businesses pockets today,” he said. City of Melbourne Environment Portfolio Chair, Councillor Arron Wood, welcomed SMF’s Solar Finance and encouraged city businesses to consider the benefits they are missing out on while they leave their rooftops bare. “There are more than 1.5 square kilometres of roof space sitting above Melbourne businesses that could be turned into profit-generating panels for these medium and small enterprises,” said Cr Wood. SMF is one of many City of Melbourne initiatives supporting businesses to operate more sustainably. “It’s part of the City of Melbourne’s commitment to stay the course for a sustainable future, and achieve Zero Net Emissions by 2020,” Cr Wood said. “A key part of this strategy is increasing Melbourne’s use of renewable energy, with the city setting a target for the municipality to source 25 per cent of electricity from renewables by 2018,” he said. To learn more call us on 03 9658 8740 or apply online.